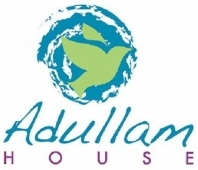 Adullam House—Adullam House is a safe haven for the children of incarcerated parents. Without intervention, many face the risk of repeating the terrible cycle and ending up as inmates themselves. Raising them up in the Gospel of Christ and the love of their Creator is the only way out. For some it’s a short-term rescue. For others it will be a brand-new permanent home. Many arrive scarred by poverty, pain, neglect and abuse. They’ve seen and experienced things no child should; innocent babies living in conditions that are hard to imagine, but that’s their past. At Adullam House, their future is forever changed. Here they can simply be kids. They find a safe, loving environment that meets their physical, educational, emotional, and spiritual needs and learn a new way of life until their families are able to once again care for them. Adullam House began as a calling on the lives of Pete and Angie Spackman. The Lord brought them from Great Britain to follow His vision for the forgotten children of society just outside Wetumpka, Alabama, 20 miles from the capital city of Montgomery. They started working with prisoners and soon found themselves fully consumed with giving their children a new start. Through God’s grace and provision, the ministry has stayed debt- free and continues to operate with no government funding. Believing “it is better to build children than it is to repair grown-ups”, Adullam House has hit a tender spot in the life of WellSpring. For more information or to direct prayers specifically, please visit their website.